Access to eye services through the Visiting Optometrists Scheme (VOS), would not be possible for those living in rural and regional locations, including Aboriginal and Torres Strait Islander communities, would it not be for the collaborative efforts of multiple stakeholders. Collaboration occurs through regular regional meetings with the providers and Aboriginal Community Controlled Health Organisations (ACCHOs) to ensure services are supported. 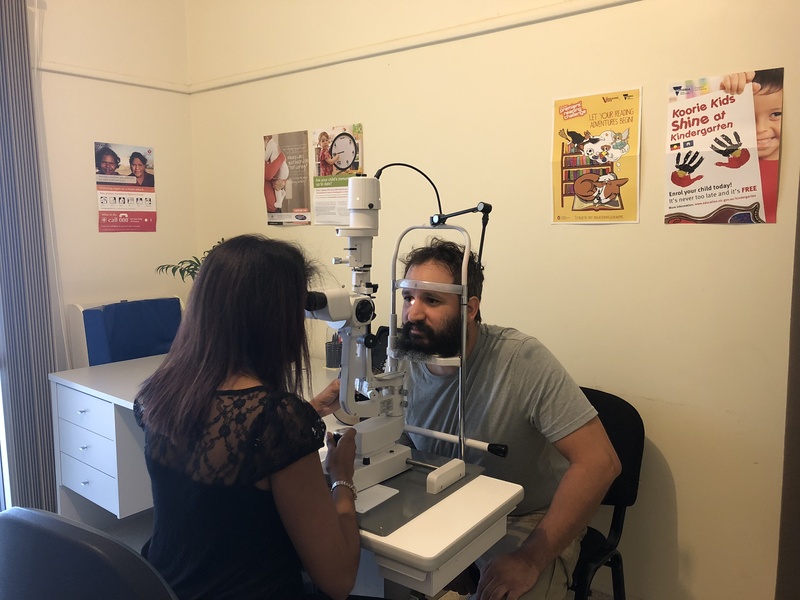 In a recent visit to Ballarat and District Aboriginal Cooperative (BADAC) and Budja Budja Aboriginal Cooperative, RWAV was able to meet with the Australian College of Optometry (ACO), the service provider facilitating optometry visits to these ACCHOs. This meeting provided RWAV with a greater awareness about the communities’ needs and potential avenues to improve to the delivery of eye services. From a service delivery perspective, ACO visits BADAC and Budja Budja approximately four times a year. 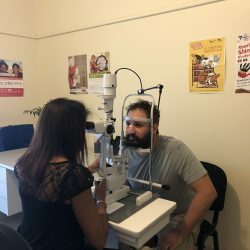 This ensures that the Aboriginal and Torres Strait Islander clients in Ballarat, Halls Gap and surrounding areas have access to eye exams: a vital way to keep eyes healthy, maintain vision and prevent eye-related diseases. According to State data, Aboriginal and Torres Strait Islander communities have a higher rate of diabetes, blood pressure and a family history of eye disease, which is why regular eye exams are essential. In the future, BDAC and Budja Budja will continue this visiting optometry service and potentially incorporate visiting optometry clinics in schools for children.